First Eurostat monitoring report on SDGs in Europe provides essential evidences to identify the gaps which need to be closed in order to achieve SDGs and to make informed policy choices. Sustainable development worldwide marked a new turn at the end of 2015: world leaders adopted at the 70th UN General Assembly (25 September 2015) a new global sustainable development framework, so-called the UN Agenda-2030 for Sustainable Development adopted by more than 150 global leaders. The UN Agenda-2030 is composed of 17 development goals (SDGs) and 169 associated targets which are global in nature, universally applicable and interlinked. About all global states (developed and developing alike) have a shared responsibility to achieve the SDGs. The 2030 Agenda integrates in a balanced manner the three dimensions of sustainable development - economic, social and environmental - and reflects for the first time an international consensus that peace, security, justice for all, and social inclusion are both to be pursued on their own and be reinforcing each other. The 2030 Agenda provides an opportunity for the EU to strongly anchor its strategic orientation in the global effort to build a sustainable future. The SDGs are already being pursued through many EU's policies and European integration; the new Eurostat report shows practical aspects in Agenda-2030 implementation in Europe*). *) Sustainable development in the European Union. 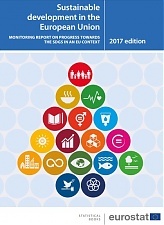 Monitoring report on progress towards the SDGs in an EU context/2017 edition. - Eurostat Publ., November 2017,- 372pp. The book can be dowloaded in PDF ISBN 978-92-79-72287-5 at: http://ec.europa.eu/eurostat/documents/3217494/8461633/KS-04-17-780-EN-N.pdf/f7694981-6190-46fb-99d6-d092ce04083f. The road to the UN 2030-Agenda (covering about 28 years) started in 1987 by the so-called H.Brundtland Report “Our Common Future”, to the Rio Earth Summit in1992, to the creation of the UN Millennium Development Goals in 2000, to the Rio+20 Conference’s decisions in 2012 and, finally to the UN-2030 Agenda in September 2015. 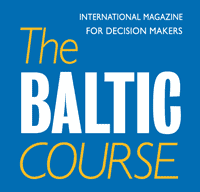 Sustainable development has been for long the mainstream in the EU integration and in sectoral policies. During last decade, the EU adopted a Sustainable Development Strategy in 2013, which was revised in 2006 and in 2009. Since 2010, sustainable development has been mainstreamed into the EU-2020 Strategy, which was built around: a) education and innovation ("smart growth"), b) low carbon emissions, climate resilience and environmental impact ("sustainable growth"), and c) job creation and poverty reduction ("inclusive growth"). In the foreword to the book, Commission first Vice-President F.Timmermans and Commissioner for employment, social affairs, skills and labour mobility, Marianne Thyssen underlined that the global nature of modern challenges, e.g. climate change, violent conflicts, mass migration and growing inequality means that “we need ambitious and united answers” (p.3). This goal underpins the EU efforts in implementing the 2030 Agenda and SDGs together with the member states; that is why the EU needs a long-term strategy to ensure that these goals are fully integrated into the European integration. “This vision, said the EU Commissioners, will guide the course of EU actions - be it economic, industrial strategy, social priorities, EU energy and climate goals, as well as research and innovation programs”. This publication describes progress towards the achievement of Sustainable Development Goals (SDGs) in an EU context. It also supplements EU reports on individual policy areas. The publication builds on Eurostat’s long experience in monitoring Sustainable Development in the European Union. The EU SDG indicators are based on a set of 100 relevant data, selected in accordance with the quality criteria of the European Statistics Code of Practice. The EU SDG indicator’s set is the result of a wide consultation process involving the EU states’ statistical authorities, European Council Committees, Commission services, the European Statistical Advisory Committee, members of academia and various international and non-governmental organisations. The EU SDG indicator’s set will be regularly reviewed to take into account future policy developments and progress in the area of methodology, technology and access to data sources. For example in the third UN goal ‘good health and well-being’ in an EU context focuses on four sub-themes: 1. ‘Healthy lives’ refers to objective and subjective measurements of health; 2. ‘Health determinants’ looks into both environmental and behavioral determinants of health; 3. ‘Causes of death’ analyses the main reasons for mortality in the EU, and 4. ‘access to healthcare’ investigates the barriers for accessing medical care services. Thus, monitoring SDG 3 in Europe goes through more complex parameters than in the “original” UN goals. In managing SDG 4 ‘quality education’, the EU states increased the number of children participating in early childhood education and care; fewer pupils are leaving school early and more people are attaining tertiary education. However, there is still need to better pupils’ reading abilities, in maths and science. The EU does not seem to be on track to meet its 2020 benchmarks for the employment rate of recent graduates and adult participation in learning. For SDG 6 ‘clean water and sanitation’, available data in the EU states makes it possible to calculate trends only for water quality and some sanitation aspects. The share of people without improved sanitation facilities in their households has been steadily decreasing, with the majority of EU states already having universal access to sanitation. Freshwater quality has also improved with the decrease in biochemical oxygen demand and phosphate concentrations in European rivers. Europeans are also enjoying improved inland bathing water quality. Nitrate concentrations in European ground-waters are within EU drinking-water standards (50 mg/L), but the overall positive outlook does not reflect the fact that nitrate concentrations might still pose serious problems at regional or local level. EU progress is visible in areas related to SDG 7 ‘affordable and clean energy’. The EU reduced its energy consumption of both primary energy and final energy, improved its energy productivity while increasing the share of renewable energies. European citizens reduced their energy consumption at home, and fewer people were unable to keep their home adequately warm. With regard to SDG 8 ‘decent work and economic growth’, Report’s indicators included trends related to sustainable economic growth, employment and decent work; the achievements in these fields are in line with the respective UN sustainable development objectives. Thus the EU states increased real GDP per capita and improved resource productivity. Besides, European labour market started to improve again, with declining trends in long-term unemployment, in the number of young people not in employment, education or training. Visible progress was made in creating safer working environments; the employment rates have risen substantially since 2013. However, the Report acknowledges that the EU-2020 strategy’s targets (to achieve an employment rate of 75%) are still far from being reached. As regards SDG 9 ‘industry, innovation and infrastructure’, the share of R&D personnel has increased in the EU states, as well as the share of people working in high- and medium-high technology and service sectors. Moreover, transport patterns for both freight and passengers have become more environmentally friendly. However, the EU is not on track to meet its target of raising its gross domestic expenditure on R&D to 3% by 2020, and the number of patent applications has stalled since the onset of the economic crisis. Concerning SDG 12 ‘responsible consumption and production’, the EU has achieved considerable gains in resource and energy productivity, as well as meeting targets for primary and final energy consumption as well as in renewables. Though, progress was less significant in waste generation/treatment, in reduction of toxic chemicals, in volume of freight transport relative to GDP, and CO2 emissions from new passenger cars. EU indicators related to SDG 11 ‘sustainable cities and communities’ show progress in the area of quality of urban life: fewer Europeans live in deprived/overcrowded housing conditions, or suffer from noise. The EU states have also reduced environmental impact of municipal waste management and citizens exposure to air pollution. Progress in the area of sustainable transport has however been less pronounced, with the share of public transport increasing only slightly recently. And the number of fatal road accidents has decreased too. The aim of the Eurostat publication is not to exhaustively assess EU progress towards the 169 targets of the UN-2030 Agenda. Selected indicators have strong links with the Commission Communication and the accompanying Commission Staff Working Document. See: European Commission (2016), “Key European action supporting the 2030 Agenda and the Sustainable Development Goals”, SWD (2016) 390 final. The EU SDG indicator set will be open to regular reviews in line with future policy developments and will take into account new indicators as they become available with new methodologies, technologies and data sources. EU and the states made sufficient progress towards all SDGs; however, progress in some goals has been faster than in others, and within goals, movement away from the sustainable development objectives also occurred in specific areas (Report, p. 10). For example, the Report showed, progress was achieved in about five goals: SDG 7 ‘affordable and clean energy’, SDG 12 ‘responsible consumption and production’, SDG 15 ‘life on land’, SDG 11 ‘sustainable cities and communities’ and SDG 3 ‘good health and well-being’. The Report acknowledged that in four goals: SDG 6 ‘clean water and sanitation’, SDG 13 ‘climate action’, SDG 14 ‘life below water’ and SDG 16 ‘peace, justice and strong institutions’, the EU states’ trends cannot be calculated due to insufficient data. Conclusion. The UN Agenda-2030 implementation is based on the presumption that 17 SDGs - as global indicators – are to be complemented by the regional and national authorities efforts. Thus, meeting the “global SDGs” critically depends on global partnership in mobilisation of numerous implementation means, e.g. 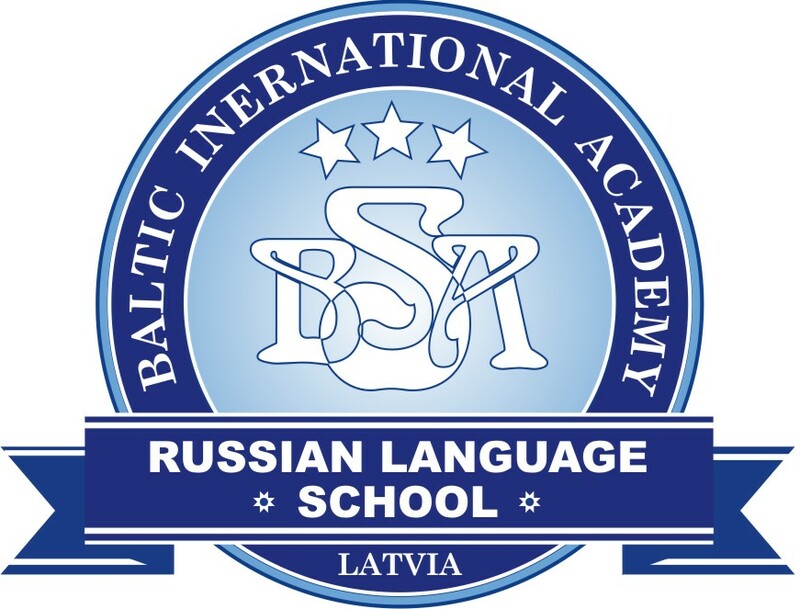 including financial and non-financial resources. On the EU level, practical implementation of the SDGs is included into the EU-2020 strategy which suggests to the EU states most feasible instruments and solutions to achieving sustainable growth. The EU member states are supposed to use the Report’s “indicators’ framework” to assess progress and trends and to inform evidence-based decision-making for implementing SDGs. New Eurostat’s monitoring report provides a statistical presentation of trends relating to the SDGs in the EU member states over the past five years (‘short-term’) and, when sufficient data are available, over the past 15 years (‘long-term’). There are specific quantitative indicators which shall be used by the member states’ decision-makers in implementing the global/EU sustainable goals. The Eurostat-2017 monitoring report provides a useful reference tool for all interested in the new world-wide sustainability policy framework: not only European citizens, policymakers, researchers but also businessmen. The book, as an acting Director-General of Eurostat, M. Kotzeva correctly pointed out, will help them to identify the main challenges the EU is facing presently and inspire them to undertake new sustainable development actions.